| Interview by Daniel Codella conducted on July 30, 2011. Johnny "Juice" Rosado is an Emmy nominated composer, producer, musician, turntablist, and engineer. As a member of the legendary rap group, Public Enemy, and groundbreaking Latin hip hop group, X-Vandals, Johnny has cemented his place as a pioneer in hip hop history. Johnny's talent extends beyond the turntables, into the recording studio as he has built a reputation for being a skilled producer in multiple genres. Recently, Johnny added film composer to his resume by contributing music to Kareem Abdul Jabbar's movie "On The Shoulders Of Giants." Johnny has been supporting Sonoma Wire Works from the very beginning, and wrote to tell us about all his new projects. How did you get into music, and specifically DJ-ing? Who are your biggest influences? My cousin Benji was a disco DJ and I was drawn to the technical aspect of DJing. I was about 9 years old when I first saw a DJ actually spinning. Prior to that, I would watch my grandfather and uncles play Latin percussion instruments. Mainly congas and bongos. I learned to play both by watching my elders. I eventually expanded my instrument palette with Piano and drums. My biggest influences are and were: Ray Barretto, Eddie and Charlie Palmieri, Clyde Stubblefield, Grandmixer D.St. (now Grandmixer DXT), Jam Master Jay, Mixmaster Ice, Red Alert, Jazzy Jay, Chuck Chillout, and many many more. Prior to your involvement with Public Enemy, what were you doing musically? I was DJing for a local group in Uniondale, Long Island. The group was called the "Bumrush Crew" and consisted of 2 future members of Leaders of the New School (Charlie Brown and Busta Rhymes.) We would do local shows and make tapes (remember those?). 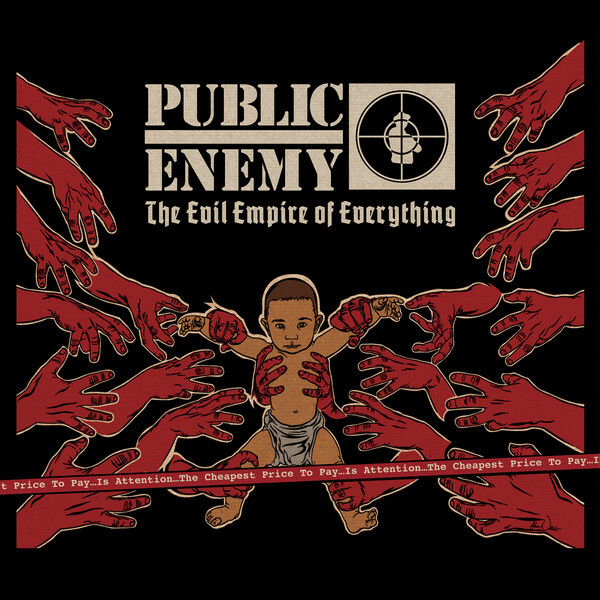 How did you get connected with Public Enemy, and what is your role in the group? Charlie Brown's older brother DJ Higg (one of my DJ partners) got wind of a contest that Spectrum City (Public Enemy's name prior to their Def Jam deal) was having. They were looking for DJ's and Rappers to form groups so that they could manage them. Charlie and I went to their studio in Hempstead to try out. I won the DJ portion of the competition and won a spot in the group the Kings of Pressure. We were signed to Next Plateau Records and released a single that did well as well as an album. During this time, Spectrum City signed to Def Jam and were working on their debut album under the name of Public Enemy called "Yo! Bumrush the Show!" I was asked to do scratching and eventually learned how to construct beats and arrange songs as well as engineer and mix. This was an invaluable time in my life. What other musical projects do you have? I currently produce many artists. I am producing underground legends Son of Bazerk. Last year we released their sophomore album (20 years after their debut!) and it was very well received. I am also producing Leaders of the New School. Currently the roster does not include Busta Rhymes but that could change. I am also one half of the Revolutionary Rican Hip Hop group X-Vandals with Ricanstruction front man Not4Prophet. Currently, I am the Director of Operations for Chuck D's SLAMjamz Records and I also produce the radio show ...ANDYOUDON'TSTOP! hosted by Chuck D on WBAI NY and www.rapstation.com. Just recently, I composed some music for Kareem Abdul Jabbar's movie "On The Shoulders Of Giants." I was in esteemed company as Herbie Hancock and Wynton Marsalis also contributed music. As owner of many Sonoma Wire Works products, which do you find yourself using most? What do you like about them? Do they help you with your production or songwriting? I use Riffworks to get song ideas down fast when I am in and out of the studio. I am also a HUGE fan of DrumCore. Almost EVERY song I compose has DrumCore on it. I use it for everything from programming dirty HipHop drums to reinforcing live drums. What are your current projects, what can we expect from you this year? Working on Son of Bazerk's 3rd album as well as a solo Johnny Juice album. More Public Enemy and Mistachuck material, a NEW X-Vandals album, a new Leaders of the New School album, producing WebTV shows, producing more radio shows for www.rapstation.com and my new Soul/Hip Hop group UNDERDOG. You can hear my music on www.slamjamz.com. You can also follow me on Twitter http://twitter.com/johnnyjuice. "I use Riffworks to get song ideas down fast when I am in and out of the studio. I am also a HUGE fan of DrumCore. Almost EVERY song I compose has DrumCore on it. I use it for everything from programming dirty HipHop drums to reinforcing live drums."